An appeal has gone out to all Kwarans to support the re-election bid of President Muhammedu Buhari in the forth coming general elections. 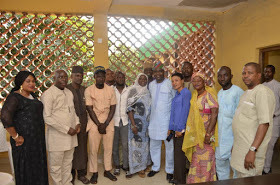 This appeal was made by the President of the Gobir Organization while addressing over 80 social-Cultural groups who came to pledge their total and unalloyed support to Gobir Organization in it quest to free Kwara State and re-elect President Muhammadu Buhari and Vice President Yemi Osinbajo. 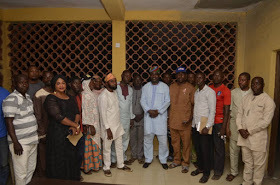 The groups which cut across all the Local Governments in Kwara State include Kwara Progressive Patriots, Kwara Liberal Vanguard, Youth Enlightenment Forum, Christian Youths in Politics, One good Kwara, Determined Youths, Likeminds, Ilorin East Elders forum, Gambari Ward 1&2 amongst many others. Alhaji Yakubu Gobir while addressing the groups at the Unity House said the task is enormous, but it's achievable. 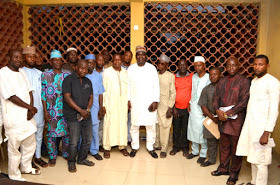 He encouraged and charged them to do more to ensure that APC leads the opposition with a high margin. Alhaji Yakubu Gobir who is also the Patron of the Presidential Support Committee, presented each group with a car to ensure their ease of mobilization and movement at their respective Local Governments. 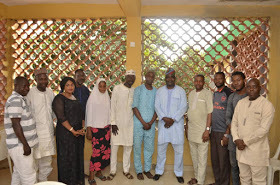 The groups assured Alhaji Gobir of their readiness to work tirelessly to achieve the desired results. The Gobir Organization will soon start her door to door Campaign activities tomorrow 23rd January for the reelection of PMB/PYO and APC at large. Our correspondent said, the Gobir Organization is ready and fully prepared for all the activities ahead. He said, the unity house is always full of various activities & programmes. 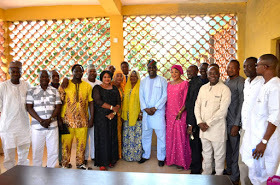 It would be recalled that the Gobir Organization recently donated an Ultra Modern Secretariat to the State APC to ensure all is in place for the party's victory in the coming election.